First woman from Kenya at Winter Olympics – Crowdfunding Campaign started at ”I believe in you“!! Born in Kenya and living in Austria Sabrina Wanjiku SIMADER takes off. That is to be taken literally. On February 7th 2018 the big adventure starts with the departure to the Olympic Winter Games in PyeongChang. To fill some remaining budget gaps the following Crowdfunding Campaign has been started recently. 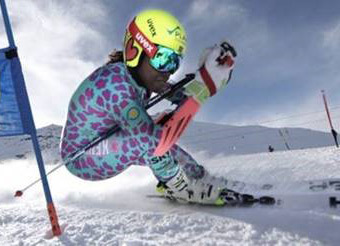 Since the Kenyan Ski Association is not able to provide her with financial resources, we have set up a project on the crowdfunding platform "I believe in you " and hope for your support. I ask you to share this project among your family and friends - whether through Facebook or any other channels available to you. Just go to the project and use the share buttons below the project image. Ideally you also support her personally with a contribution. So you can become an important supporter for Sabrina’s career.